Round the World at Halloween! Did you know that Halloween is considered to have originated in Ireland? The celebration of ‘Samhain’ is thought to be the earliest manifestation of what we consider to be Halloween today. Samhain is a pre-Christian Gaelic festival which marks the end of the harvest season and the beginning of winter. It is thought that when America saw an influx of Irish immigrants, the celebration of Samhain went with them and the festival of Halloween that we know today was born! Today Halloween is celebrated all over the world, so Wilko are here to bring you a guide to tricks and treats from across the globe so that you can bring something a little different to your traditional Halloween celebrations! Different cultures bring different foods to their Halloween inspired tables; we have picked out some of the best for you to try yourself at home! Ireland: The Irish traditionally serve Barnbrack cake at Halloween. This is more of a bread than a cake but with a sweeter taste from the added sultanas and raisins. The Irish traditionally hide muslin wrapped gifts inside the Barnbrack cake and use it as a fortune telling game. The item is supposed to tell the fortune of whoever receives it in their slice. For example, for a girl who finds a muslin wrapped ring, the gift means she will become wed within the year. See here for some great Barnbrack style gifts if you want to give this a try at home. USA: Although pumpkins are popular emblems of Halloween in the USA, they are rarely eaten. Instead species of cheese pumpkin, pie pumpkin and sweet pumpkin are used for making pies. Some people also like to save the seeds to dry roast and salt as a snack. Step 1. In a mixing bowl, cream the sugar and butter until light and fluffy. Add the ground almonds, egg, flour and lemon rind. Beat thoroughly. Step 3. Shape the dough into bean-shaped rolls about 5cm long. Step 4. Place them on a lightly greased baking tray in a preheated oven (180°C/350°F/Gas Mark 4) for 15-20 minutes until light brown. Leave for 10 minutes then cool on a wire rack. You can also make your beans more fun and creative by adding food colouring to the mixture! 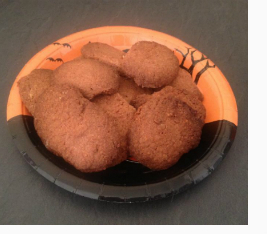 Or by putting them on our Halloween paper plates as featured above! ‘Trick or Treat’ is the most known Halloween game around the world, every year children dress up and knock on people’s door shouting ‘Trick or Treat’. But other cultures have different games that they play, all of which can be easily used to bring a slice of difference to your Halloween celebrations! Japan: In Japan Halloween is celebrated as the ‘Oban Festival’ and is dedicated to the spirits of ancestors. On this day the Japanese light candles and place them in lanterns which are then set afloat. Be inspired by this Japanese tradition with these Halloween themed pumpkin lanterns. France: In France trick or treating is extremely rare and where it does exist it is from store-to-store rather than house-to-house. Step 1. 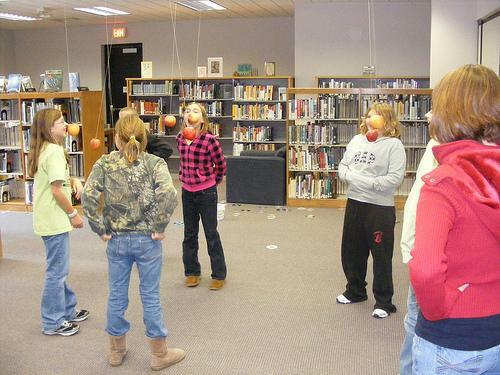 Either tie the string round the stalk or the apple or pierce a hole and pull the string through then hang from the ceiling or a doorway. Step 2. Blindfold the participant and tie their hands behind their back. Step 3. Guide them underneath the apple and tell them to start. The blindfolded person has to jump and retrieve the apple! Snap Apple is great fun, especially for children who will love to see their friends jumping up and down and still missing the apple! Costumes are a pretty standard affair on Halloween: witches, ghosts, skeletons and all other things ghoulish. However, there are some cultures that do things a little bit differently. USA: In the USA (and in the UK in some cases) Halloween costumes are no longer just those of ‘scary’ characters, it has become popular for children and adults to dress as any character, scary or not! Transylvania: Transylvania is probably most commonly associated with Count Dracula and the celebrations there are mainly surrounding this myth. The most popular place to visit on Halloween is Bran Castle – the depicted home of Dracula from Bram Stoker’s infamous novel – where thousands of people gather to watch actors recreating the tortures used by Prince Vlad Dracula on his enemies. You can make a Transylvanian trick or treater of your child by dressing them in one of our Dracula inspired costumes. Mexico: Mexicans have used the Day of the Dead tradition of Sugar Skulls – skulls moulded from sugar which are intricately decorated to represent a departed soul – in their Halloween dress and these are now extremely popular forms of Halloween face painting. Do you or your child want to stand out on Halloween? 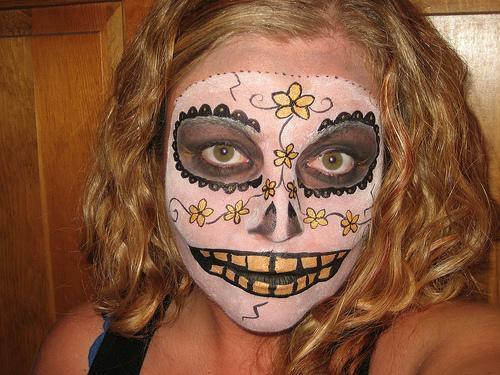 Professional make-up artist Karla Powell has given us some hints and tips to create the perfect sugar skull face paint! Optional: A wig – this one would be perfect! So there you have it, our guide to a few tricks and treats inspired by the Halloween celebrations of our friends around the world! 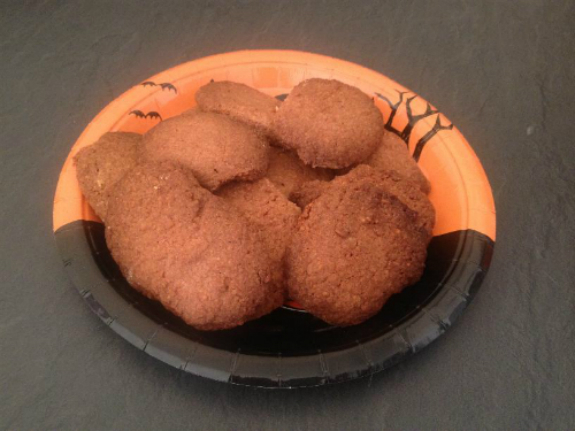 We challenge you to try some out yourselves for an alternative Halloween spookfest! Don’t forget to tweet us with your pictures @LoveWilko, we would love to see what you come up with!